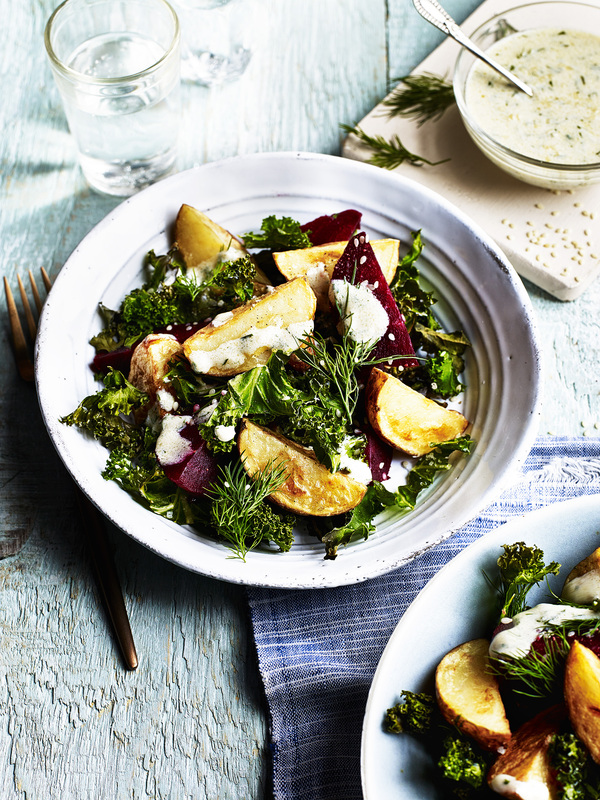 This tasty potato recipe is served on a healthy, nutritious bed of beetroot, kale and dill topped off with a delectable toasted sesame seed dressing and potato wedges. See the easy-to-follow recipe in full below. Boil the potatoes for six minutes then roast in a little oil until golden and crisp. Cut the potatoes into wedges then set aside. Spray the kale with the cooking spray and season well. Roast until crisp, turning occasionally (about ten minutes). Set aside. Mix the beetroot with the kale and dill, season and toss through the potatoes and serve with the dressing.